Wanted: Players for RMIT women's soccer teams 2017 RMIT FC is now recruiting for our women's teams for the 2017 season. A growing club with a good, friendly environment that is hoping to fill out our women's teams with new players. We are looking for players with experience as well as players who are enthusiastic to learn. In your message, please give your full name, playing experience, contact details and any other relevant information. RMIT FC play and train very close to Melbourne CBD. Goalkeeper, young(ish). Committed. Looking for a club with a strong work ethic and good attitude. Been playing since about 5. Available all weekends and evenings. Clubs in North or North-West area most convenient but willing to travel. A bit. Have played as a goalkeeper for a few years for school and university teams. Have played a lot as a futsal keeper over the years and am now looking to get back into playing full 11 a side football. I also have two friends also keen on finding a team as they haven't found a team since moving to Australia, all of us are 19/20. the other two are a CDM/CM and a LW/RW respectively and have both played extensively in India. We are all free on weekends and nights, would prefer a team in Melbourne inner or north western suburbs. New into Melbourne. I used to play saturday and sunday league football/soccer in mid-field and right wing positions. Looking for a team to train and play with. Hi, I moved to Bourke St, Melbourne recently. Before I love to play soccer at weekends and continued for 10 years. 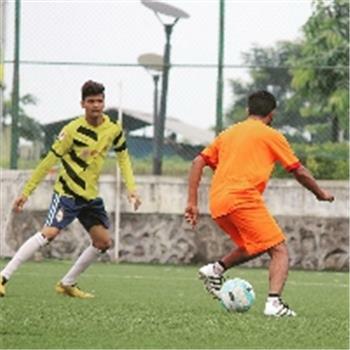 I am good at midfielder and want to find a team to play together. Both nights and weekends are available. Thanks.